Paraprofessionals celebrate Mrs. Bonnie Bishop, PAES Paraprofessional of the Year!! PAE students partner with the Level Up All-star Gymnasts. It's a Literacy Pajama Party! Teacher of the Year, Mrs. Courtney Dryden with Principal, Mrs. Monar & the PAE Wildcat. Students & Staff gather to cheer on Mrs. Courtney Dryden, PAES Teacher of the Year! PAES Teacher of the year, Mrs. Courtney Dryden pictured with Board Chairperson Mrs. Penny Nicholson and Superintendent of Schools Dr. John B. Gaddis. Bulletin Board created by Mrs. Bennett's class. Corporal Meeks from the Princess Anne Police Department came to speak to students about the adverse effects of tobacco. Mrs. Courtney Dryden is Princess Anne Elementary Teacher of the Year! 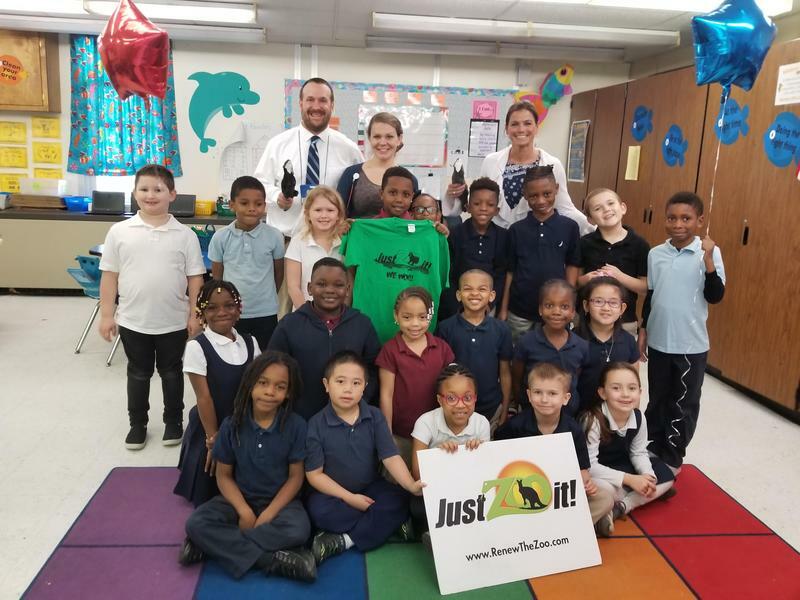 Mrs. Mason's first grade class raised the most money in Somerset County for this years "Just Zoo It" campaign. Students in Mrs. Finlayson's class demonstrate "subtraction smash" to learn their subtraction facts. Mrs. Mcleod, Admin Associate II; Mrs. Boyd, Nurse & Mrs. Henderson, Receptionist. 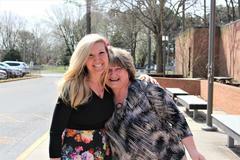 Teacher of the Year, Mrs. Courtney Dryden with her mother, Mrs. Janie Webster. Taste the Rainbow: Parents were invited to learn about our impending black top garden, where students will grow a rainbow of vegetables & fruits. 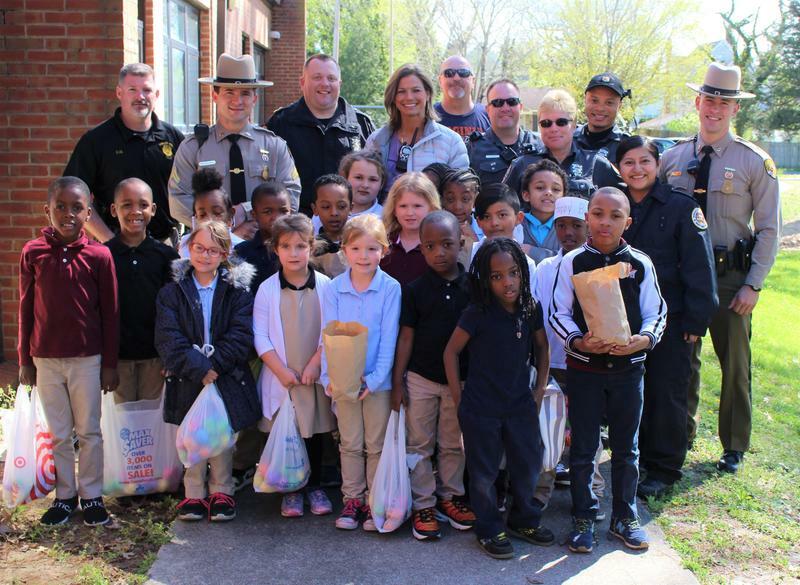 Students enjoyed an Easter Egg Hunt sponsored by the Princess Anne Police Dept. Congratulations to Alise, a first grader at PAES and the winner of the Maryland Council on Economic Education MCEE poster contest. She is one of 16 winners statewide. She will be honored at Towson University on May 15. Miss Hall's Science class on an insect hunt. Melanie Ulbricht, owner of Level Up Dance Studio & her students. Ulbricht is a former PAE student. Congratulations to Mrs. Bonnie Bishop, PAES Paraprofessional of the Year! Kindergarten Pawsitive Behavior Dance Party! Lunch & Learn: First grade teachers explain what parents & students should expect for the upcoming 4thn grading quarter. PAES students exploring the art exhibit at the University of Maryland of Eastern Shore. Congratulations to Mrs. Robin Henderson, PAES Administrative Associate of the Year! Mrs. Monar is sporting mismatched socks to celebrate World Down Syndrome Day. Paraprofessionals modeling their shirts designed by Ms. Christy South. Student in Mrs. Crockett's Pre-K class is prepared for surgery in the Doctor's office learning center. Pre-Kindergarten students creating tree bark rubbings. 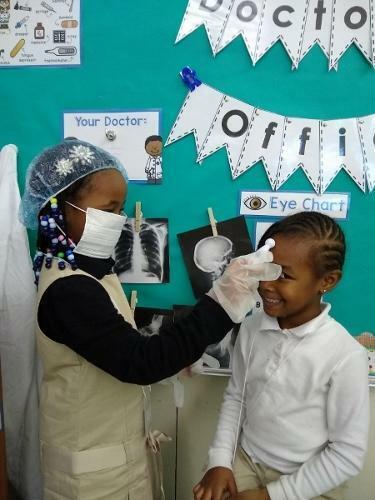 Students play in Mrs. Crockett's Pre-Kindergarten Doctor's Office learning center. Pre-K Team celebrating Dr. Suess. Pre-Kindergarten Lunch & Learn: Parents & family members were invited to have lunch and learn about the upcoming semester, academic strategies & resources available to their students. 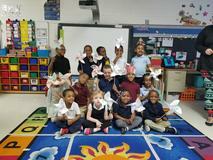 Ms. Horner's (Ms. Bishop) Pre-Kindergarten class made pinwheels during their lesson about wind. Princess Anne Elementary Students enjoyed an Easter Egg Hunt sponsored by the Princess Anne Police Department. Click here to see pictures. Mrs. Mason's first grade class raised the most money in Somerset County for this years "Just Zoo It" campaign. They will be rewarded with a special all-expense paid trip to the Zoo this spring, including a pizza party, t-shirts, and a stuffed animal to take home. They also get to meet Zookeepers and interact with some of the animals during a special tour. Just Zoo It! encourages more than 12,000 elementary school students in Worcester, Wicomico, Somerset and Dorchester Counties to collect coins to fund new exhibits like Discover Australia and improve the Zoo’s most popular exhibits like the Andean Bear. Recently, PAE staff members became apart of the McDonald's crew to raise money for PBIS incentives. Students were greeted with balloons and math activities to complete while they enjoyed their meals. Click here to view pictures of this fun filled night. First Grader wins MCEE poster contest! Congratulations to Zamiyah, a first grader at PAES and the winner of the Maryland Council on Economic Education MCEE poster contest. She is one of 16 winners statewide. She will be honored at Towson University on May 15. Click here to see some of the amazing learning centers our Pre-Kindergarten teachers are creating in their classrooms.